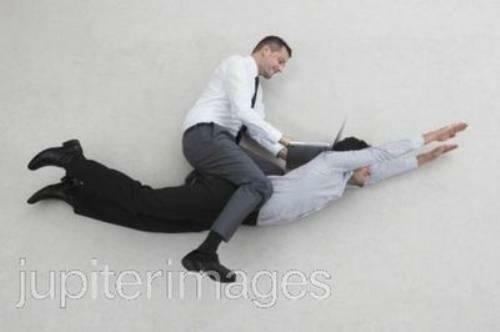 Ah, stock photos. Just the term is enough to send shudders up a good web designer’s spine. All that cliched imagery! All of those pixilated smiling people! And yet, it’s hard to put together a great website on the cheap without dipping into the stock photo world and, fortunately for us, the diversity of high quality photos available these days far outpace the bad. 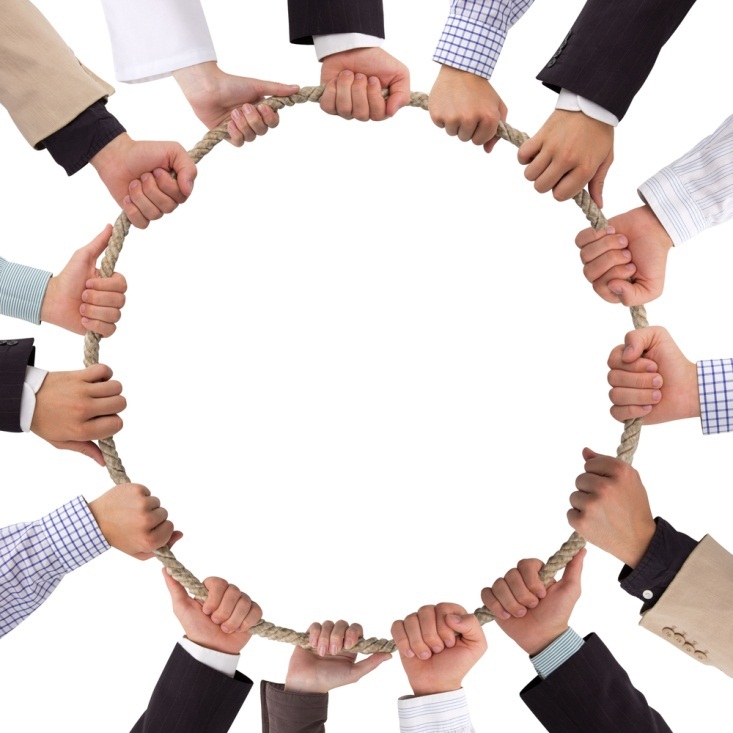 So, how is the savvy web designer to make the most of all that stock photography has to offer? By using the following guide for things to avoid when using stock photography, of course! True, most companies have people working for them. And, true again, those people are usually business people. 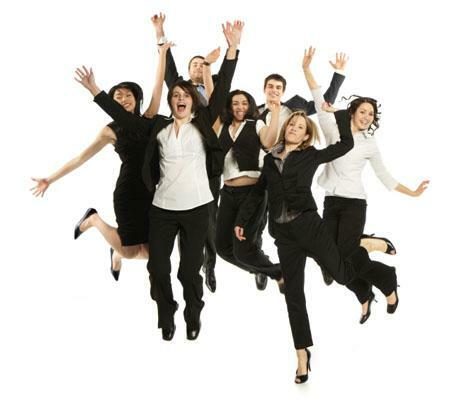 But unless the business for which you’re designing is either an agency that places eager temps or a psychoanalyst specializing in ballet dancers who use stock photo modeling to support themselves, this photo of jumping business professionals just isn’t relevant. The same goes for a picture of a sunset for a car shop site, or a photo of a happy baby on a travel site. Keep your photos relevant to the content of the site, or perhaps even (dare I say it!) use them as a means for illuminating your actual message. 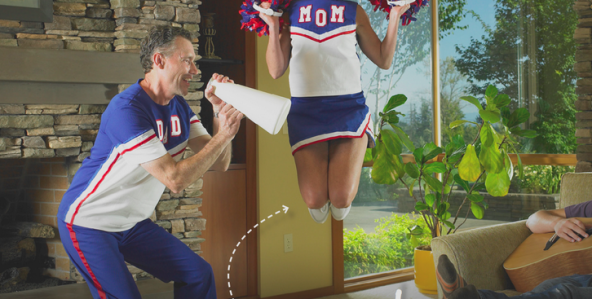 Nothing ruins a highly relatable photo depicting mom and dad cheerleading while a quarter of their presumed son strums a guitar on the couch like cutting mom’s head out of the picture. Unless, of course, this photo was about the dangers of parenting while headless, in which case this photo really hits the mark. Learn to crop, people! 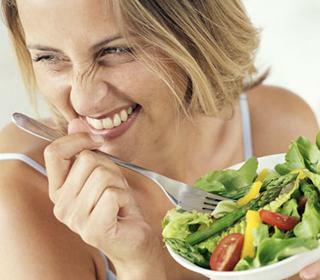 There’s a reason Google automatically fills in the rest of the phrase for you when you begin typing, “stock photography memes.” Try to avoid anything that comes up on these lists, like “business people shaking hands” and “women laughing alone with salad.” If you can Google the term, it’s over. Move on. 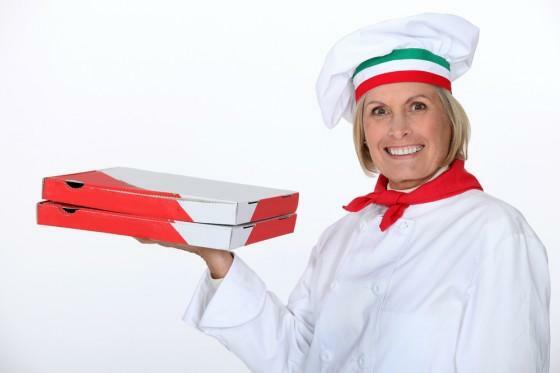 Mmm, nothing says “dig into these tasty pizzas” like an overly posed shot of a scarily wide-eyed woman who looks like she’s five seconds away from eating you. The white background here will scream “fake!” to website visitors, as will this clearly staged pose. Swap awkward shots like these for those taken in more natural settings and more candid shots. That cannot be good for anyone’s posture. o, how should you use stock photography? 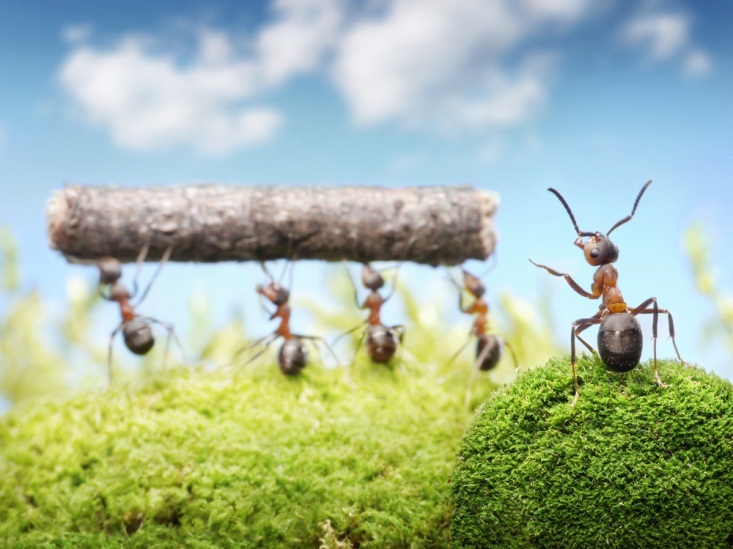 ….and the ants photo that began this section, which was found using the term, “animal teamwork.” One is too literal and cliché, while the other gets the mind whirring. When using stock photos, one of the best things you can do is make your chosen photos fit your purposes with some light or heavy editing. Crop photos to emphasize the most relevant part of an image, use filters to match the look and feel of your site, add a logo -- do whatever you need to do (within the terms of service) to make the stock photo work for you. Used the right way, stock photography can really give your website a professional and unique feel. When you avoid these pitfalls and use stock photography as your base for getting creative, there’s no telling where you’ll go. So, get searching, and try not to crop off mom’s head again.